If you don't know the difference between breweries, taprooms and brewpubs – and don't know where to find them – Chicagos.Beer is for you. 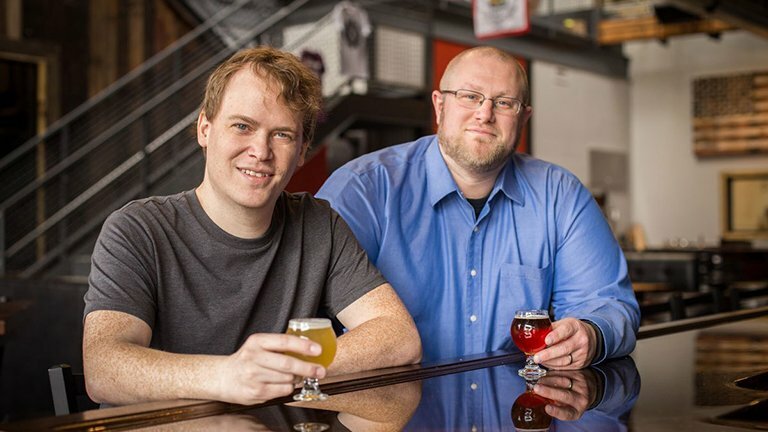 Jeremy Hylen and Joel Gratcyk launched the site in April as an interactive, dynamic directory of all the craft beer Chicago (and the rest of Illinois) has to offer. The two first met a decade ago as co-workers at a Chicago-area nonprofit. Last year, after Hylen took a new job, they were looking for a way to stay connected. They decided to launch Chicagos.Beer to have both a joint project and to scratch a longtime itch. The two estimate they’ve spent more than 800 hours working on the project over the last year, putting together listings for nearly 300 locations around the state. Users can search by area and sort by type of listing (e.g., is it just a production facility, or do they serve the beer? Is there food? Is it family friendly?). The two hope to expand their directory to include Wisconsin listings, where Hylen now lives. “The brewery space right now is exploding,” says Gratcyk. Helping people navigate the craft beer world is sometimes difficult, but gratifying. Hylen and Gratcyk are scheduled to join “Chicago Tonight” host Phil Ponce to explain why beer is more than something to drink – it's something that brings people together. Ask Geoffrey: How Do You Make the Popular Downscope Cocktail? March 23: For decades, a cocktail called the Downscope was served up at Skipper's Marina on the Calumet River. Its recipe was a closely guarded secret, until now. Geoffrey Baer tells us what's up with the Downscope and answer other viewer questions on this edition of Ask Geoffrey. March 22: You may know her as the official gadget guru for America's Test Kitchen here on PBS. Lisa McManus is also the executive tasting and testing editor at Cook's Illustrated and Cook's Country magazines. She joins us to discuss "Cook It in Cast Iron: Kitchen-Tested Recipes for the One Pan That Does It All." Feb. 11: The long and delicious history of the company is told in a new book, “The Eli’s Cheesecake Cookbook: Remarkable Recipes from a Chicago Legend.” Maureen Schulman, one of the book’s authors, shares this sweet tale and tips for making the perfect cheesecake.